At the onset, we wanted to hold the reception in LOYOLA GRAND VILLAS. After all, this is where the major milestones leading to our wedding happened – the official commitment to date exclusively and the engagement. It was almost the natural choice, considering its significance to our relationship. But, of course, we explored other possibilities. 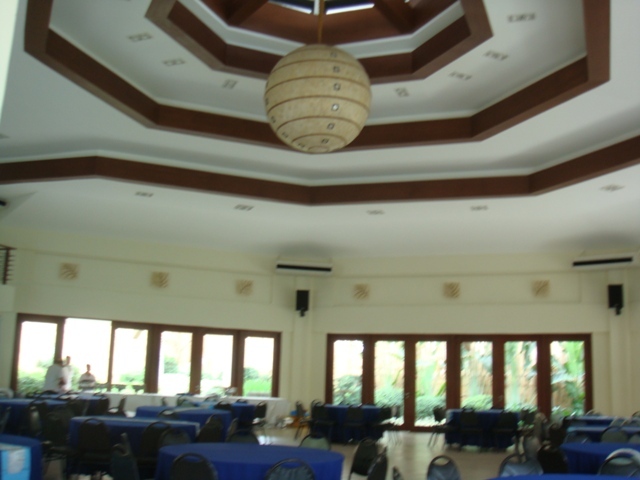 C3 Events Place| 18 Missouri St., Greenhills West, San Juan| www.c3phils.com. Rave: It’s a hip party place with a modern ambience that requires minimal styling. Rant: Nearly Five-Star Hotel Prices. Very limited parking spaces. Review: This is a nice option for a high-style, intimate event. Rave: It’s clean and serene with wonderfully landscaped greenery, perfect for Zen-inspired themes. The pavilions are air-conditioned and have wonderful views of the gardens. Situated in McKinley Hill at the edges of the booming metropolis of The Fort, it is fairly easy to locate. It’s brand-spanking new, and it definitely looks it. The people are very accommodating and quick to respond. Rant: The venue was much smaller than we expected. Parking within the venue is limited (although guests may opt to park on the side of the street). Rate is a little more than what we were willing to shell out. Review: It’s a good option for couples looking for a venue within The Fort. Makati Shangri-La| Ayala Center, Makati City| www.shangri-la.com. 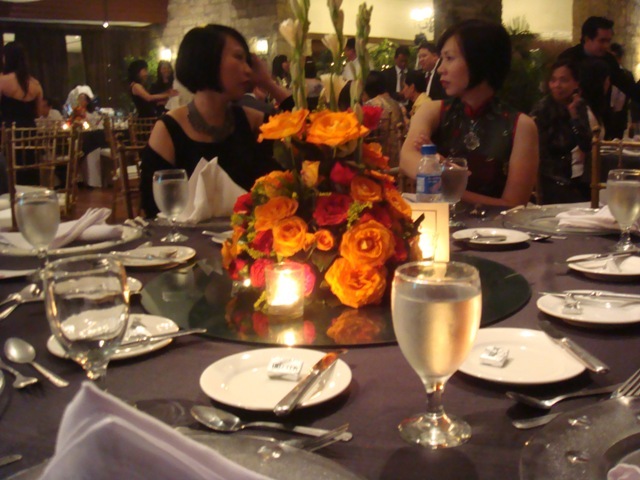 Rave: Makati Shangri-La. ‘Nuff said. Rant: Five-Star Hotel Price. ‘Nuff said. Review: A five-star hotel will always be a good choice for special occasions, if you have the moolah to spare. The Peninsula Manila| Ayala Corner Makati Avenue, Makati City| http://manila.peninsula.com. Rave: Military forces sieged it. A tank was forcibly rammed through its lobby entrance. Despite all the chaos, the weddings, the birthdays, and all other celebrations for the day pushed through. And less than a week later, the entrance was back to its former splendor. Review: It may cause a little extra, but you’re assured that no army takeover or fifty-ton tank will stop your wedding from happening. Manila Polo Club| McKinley Road, Forbes Park, Makati City| www.manilapolo.com.ph. Rave: Great location. Private and Prestigious. Rant: Sponsorship from a member is required in order to hold an event in this venue. Review: Worthy option for couples eyeing the area of The Fort. If you’ve got the connections to hold your celebration here, use them. In the end, we went back to where it all began: LOYOLA GRAND VILLAS| Katipunan Avenue, Quezon City. Rave: It has sentimental value to us. It’s like being home. It’s simple and elegant. It’s air-conditioned. It’s convenient. And parking is sufficient. Rant: Only members of the community are allowed to use the function hall. Review: As a place that holds much meaning for us, it’s where we wish to celebrate with our family and friends on our special day. As most people say, “location is everything.” And it is. In choosing the right reception venue, there are so many considerations, including proximity to the church, convenience to majority of the guests, the atmosphere, and the surroundings. For many, the location determines the entire “mood” of the wedding. A hotel, for instance, will not make guests think twice about dressing up to the nines. Our venue might not be spectacular by most people’s standards, but it is, to us. There is really no way of pleasing everyone, but in the end, what’s important is pleasing ourselves and being happy with our choices.